Originally printed on February 11, 2019 in the Ipswich Star. SPINK Anne Lawrie passed away in hospital on January 27, aged 89. Wife to the late Hedley and a much loved mum, grandma and great grandma. She will be missed by all her family and friends. Funeral Service at Seven Hills Crematorium, on February 20, 2019, at 10.30 a.m. 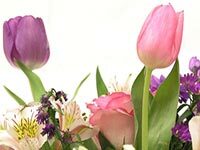 Flowers may be sent c/o East of England Co-operative Society, 183 Hamilton Road, Felixstowe, or a donation to your chosen charity would be very welcome.